What hath Rome to do with Lagos? In the portion of the newspaper where religion is freely discussed—the Sunday edition, of course—Jeff Kunerth published a thoughtful piece entitled “Black atheists might feel lonely, but they’re not alone.” Kunerth reveals a double dilemma for the African-American non-believer: strong emic social pressure to be religious and etic deconstruction of race by many atheists. I know African-American humanists, and I have been informed of the lack of attention given to humanism and race. Both, in many circles, are troubling concepts. We like to think we’d evolved to the point of “race” disappearing from the social spectrum, but we also feel pride concerning cultural achievements, some of which are tied to “race.” Where would our culture be without the influence of African-American music, story, and art? Is belief required to truly belong? I often wonder why it is that skin tone is used to divide people. Inevitably my thought goes back to the Bible. In the ancient view reflected in the book of Genesis, all creatures, humanity included, were created with inviolable boundaries of “kind.” As mules and ligers demonstrate, however, boundaries are often only as strict as we permit them to be. “Can the Ethiopian change his skin?” Jeremiah rhetorically asks in 13.23 of his eponymous book, “or the leopard his spots?” Not only is race fixed, but gender as well. Each according to his own kind. It’s this easy division that’s troubling me. Humans of all “races” may interbreed, something not possible for the liger or mule. We are free to change our outlook. The leopard spots are in our minds. None of this is meant to belittle the difficulties faced by black atheists, or any others who are excluded by their own “kind.” It is simply a suggestion that we might enlarge the pie, to borrow from Getting to Yes, before dividing it. Belief has to be a matter of conscience, and acceptance should be a matter of principle. Too often religious beliefs divide rather than unite. Atheists and true believers, of one “race” or many, have a common cause to make a better world for all. The prophet anticipates a negative answer to his rhetorical question. Allow me, Jeremiah, respectfully to disagree. 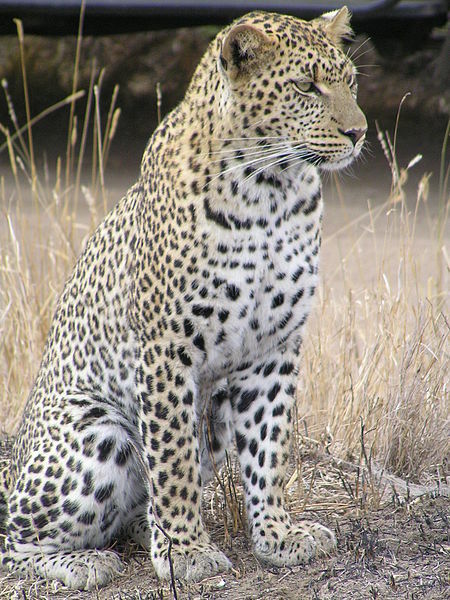 Yes, a leopard may change its spots anywhere except in the prejudiced savannah of the human mind. This entry was posted in Animals, Bible, Cats, Genesis, Posts, Sects, Social Consciousness and tagged African-American culture, atheism, Genesis, Getting to Yes, Jeff Kunerth, Jeremiah, Jeremiah 13.23, New Jersey Star-Ledger by Steve Wiggins. Bookmark the permalink.